The Way to God: as Taught by Sri Ramakrishna is an exploration of Sri Ramakrishna's central teachings. Sri Ramakrishna's message to humanity is found in his words which were recorded by his disciple M., and later published in book form as the Sri Ramakrishna Kathamrita. This was later translated into English as the Gospel of Sri Ramakrishna. 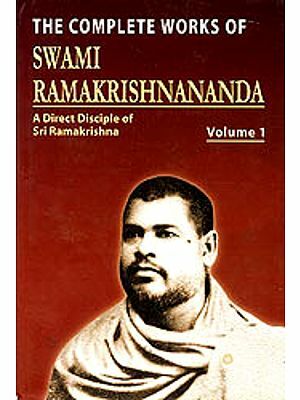 Swami Lokeswarananda's lucid commentary is informed by a wealth of information concerning Sri Ramakrishna, his disciples, and Indian spirituality as a whole. The Way to God : as Taught by Sri Ramakrishna offers inspiration and practical guidance to spiritual aspirants of all religious persuasions. 'the work presents the wisdom of Sri Ramakrishna with the utmost precision. We have here, for the first time in the history of Ramakrishna studies, a summa philosophica of the Master,' says The Statesman of Calcutta. Swami Lokeswarananda is a senior monk of the Ramakrishna Order, and is currently Head of the Ramakrishna Mission Institute of culture in Calcutta. An internationally known speaker, Swami Lokeswarananda has been invited to the then-Soviet Union on various occasions, and has frequently appeared on Soviet television and radio. He has also lectured at Oxford and Cambridge Universities, at the Sorbonne in Paris, and in other Universities throughout Europe, the United States and Canada. A prolific writer for several decades, Swami Lokeswarananda has written many articles and books in both Bengali and English.